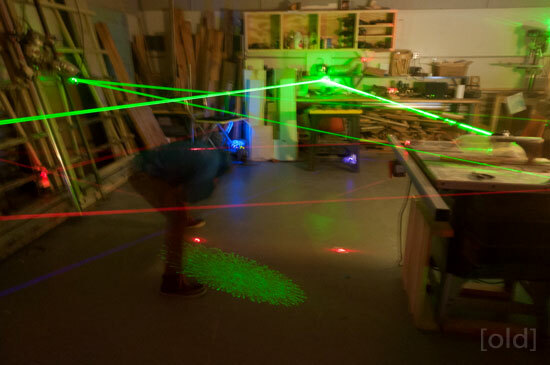 You may remember the Laser Maze from Milwaukee MakerFest in 2013, or maybe you experienced it at Maker Faire Milwaukee in 2014. Well, it’s coming back! Somehow I volunteered to design & build the hardware for Laser Maze 2015! 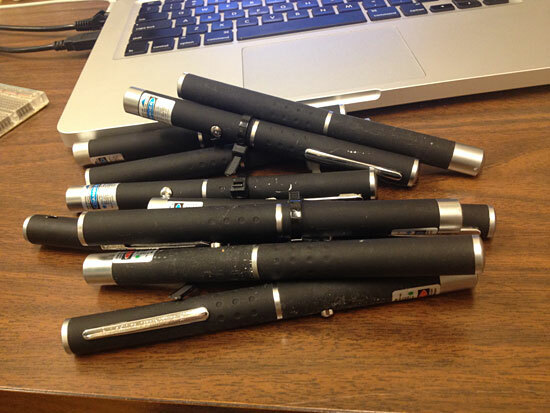 I’ve got a big pile of laser pointers, so far so good. Now, I should mention I didn’t do the set-up in previous years, and I don’t have much to work from, so I’ll be making a bunch of decisions, and if they are terrible, let me know. 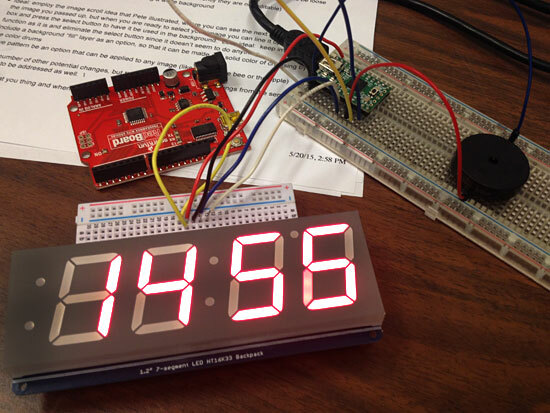 The scoreboard is an Adafruit 1.2″ 4-Digit 7-Segment Display. I’ll probably use a Teensy 3.1 as the controller, and there will be a big green start button and a big red stop button. You press start at one end of the maze and the counter begins… and when you get to the end you press stop and you know your time from the scoreboard. There should also be a buzzer of some kind, for the start, stop, and breaking of the beam. I’m just using a piezo for prototyping, but we’ll make sure we have something LOUD for the event. There are some notes about everything on the laser maze wiki page, but I’ll keep documenting here as I go. Posted on Saturday, May 23rd, 2015 at 12:28 pm. Subscribe to the comments feed. Both comments and pings are currently closed. Post on your own blog.